Gifts for baby showers and newborns are among the most rewarding projects to make. 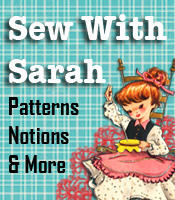 There are just so many adorable things that can be made for the little ones – practical gifts and those “one of a kind” type of gifts that most likely would be put away because they’re just too precious to use. Baby booties are among those practical things that would get a lot of use. I found a couple of super baby booties items. The first set of booties comes from InTheFold blogspot written by Amy Munson. 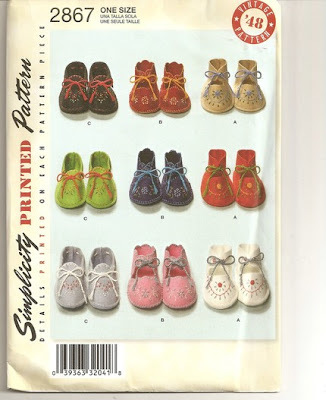 Amy’s mother made these booties using a vintage Simplicity pattern and decorated them with her own touches. 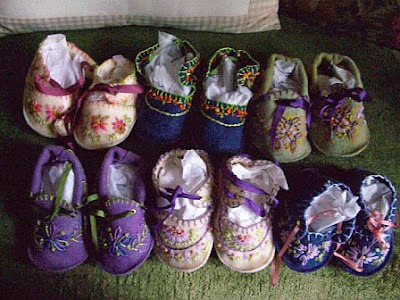 You can really tell the difference between the “pattern” booties, and the real deal after Amy’s mother decorated them!! Another site with soft sole leather shoes that I highly recommend simply because the soft sole makes it easier for the little ones to learn to walk — are designed for newborn through 4 years of age. The information comes with patterns through size 9 so you can make custom fit soft sole leather shoes to fit your child perfectly. Aren’t these just adorable!!! Go to BabyBootz.com and check them out. You’ll be glad you did!